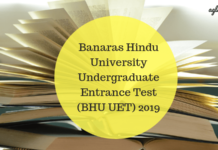 BHU PET Result 2019– Candidates will be able to check their results by entering their Roll Number. 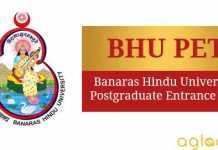 The results will be declared on Entrance Test Portal of BHU which is www.bhuonline.in. The marks obtained by the candidate in the test, their overall merit, and merit within the category to which they belong will be mailed to their registered e-mail address. Candidates will be sent a notification through SMS at their registered mobile number provided by the candidate in the application form. For more information about BHU 2019 Result, candidates can check this article. 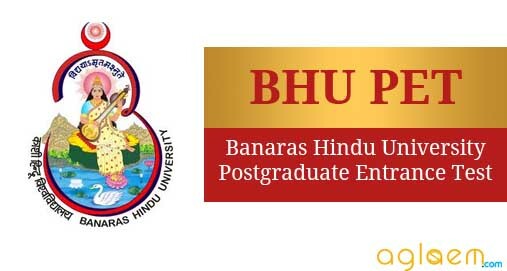 Check Result: Candidates can check BHU PET 2019 Result from www.bhuonline.in. How to check BHU Result 2019? Step 1: Click on the link which will be mentioned here or go to the official website of BHU. Step 2: After visiting on the official website, candidates are required to enter their Login Credentials namely their Roll Number. Step 3: After entering the Roll Number, candidates can check their respective results. Step 4: As a last step of the process, candidates can take a screenshot of their respective results. Candidates will be selected in order of the merit on the basis of aggregate marks secured by the candidates in the Entrance Test provided that they fulfill the eligibility criteria and minimum qualifying marks in the entrance test. The minimum qualifying marks according to the different categories and courses will be decided by the university only. First preference will be given to the candidates who have a higher aggregate of percentage marks at the qualifying examination. In case, the aggregate percentages of the marks at qualifying examination are also equal then preference will be given to a candidate who has higher marks in the concerned subject (wherever applicable). In case, the candidates have equal marks after the above-stated criteria also, then the candidate senior in age will be given preference. 03 marks will be awarded to candidates on every incorrect answer. Unattempted question will be awarded 0 mark. After the declaration of results, the counseling process will begin to enroll students into a particular course who have given BHU PET 2019. The admission will be done on the basis of the merit list. Only those students will be called for counseling whose name will appear in the merit list. The qualified candidates will be issued call letter so as to appear for the counseling. Now, in order to appear for counseling, candidates need to fill the preference form first in which they have to fill the preferences, of course, type, location, and seat type. When the counseling will take place, candidates will have to submit the relevant documents such as proofs of their Date of Birth, Category, Academic Background etc. Candidates will have to follow set rules and regulation in order to take admission by giving BHU PET 2019. In other words, these rules and regulation can also be known as the Admission Procedure. The steps before and after giving BHU PET 2019 is mentioned below.